Before the days of streaming, choosing the right lead single, especially for a pop album, was a drastically crucial decision. 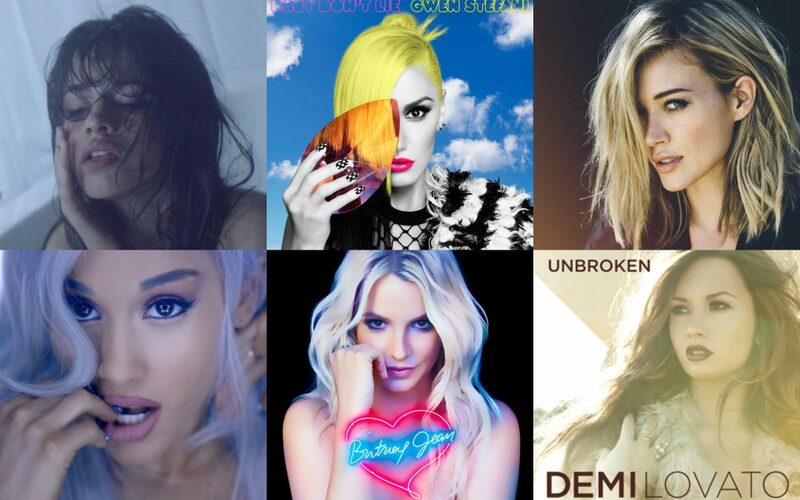 Some songs just scream “lead single” and have the potential to become worldwide hits, while others are destined as album tracks that would not go as well on the radio or on television. Often times a pop lead single will be something upbeat or catchy to catch the listener’s attention, and then the possibility for slower songs or ballads becomes more available to showcase range and versatility. For listeners, it may often seem obvious which songs should be lead singles, but sometimes the fans, the charts, and the artists say otherwise. Sometimes changes are made at the last minute that have nothing to do with charts or reactions, but more something the artist decided felt right. Did you know that “Havana” was not originally Camila Cabello’s debut solo single? Or that Gwen Stefani had recorded an entirely different album that she scrapped before releasing This is What the Truth Feels Like in 2016? These are fourteen songs that were intended as singles but scrapped later. After her messy exit from girl group Fifth Harmony at the end of 2016, “Crying in the Club” was released as Camila Cabello’s debut solo single, co-written by Sia and Benny Blanco. The song was originally intended as the lead single from her forthcoming debut album initially titled The Hurting. The Healing. The Loving., with Cabello stating that she wanted her album to tell “the story of [her] journey from darkness into light, from a time when [she] was lost to a time when [she] found [herself] again.” She released another single called “I Have Questions” soon thereafter which was also set to be included on the album, representing “the healing” part of the title, with Cabello explaining on social media: “I realized I wasn’t making music just to make an album anymore, I was making this music to heal, it wasn’t until I had made enough songs to listen back to and realized I could hear myself coming back through these songs. I didn’t write it with the intention of delivering a message, but I realized the message was in the hurting, the healing, and the loving.” However, following the mass success of a third single called “Havana”—a future number-one worldwide hit fused with contagious Latin energy—Cabello later confirmed that all previous singles had been scrapped from her debut album, with the title being changed to simply Camila. She told The New York Times that she changed the album title partly to rid herself of drama, and explained in another interview that she felt “Crying in the Club” and “I Have Questions” no longer represented the artist she had become. Regardless, the song has since become a cult classic—with many fans championing that “Crying in the Club” was worthy of the success “Havana” saw—emphasizing the need to dance your troubles away when you’re feeling melancholy. 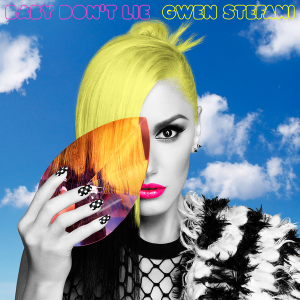 Gwen Stefani released “Baby Don’t Lie” as her comeback single in October 2014, marking her first solo release since 2006. A month earlier, she had confirmed that she had been in the studio making a new solo studio album with Pharrell Williams, who said, “When I tell you she’s killing it, it’s another level.” Stefani released a second single from the album in December, “Spark the Fire,” and revealed she had worked with Calvin Harris, Charli XCX, and Sia on the album but confirmed the following month that she was slowing down the recording process, feeling that it was not yet complete. She also performed a Sia-written track called “Start a War” in concert around this time, but the song was never released physically. After filing for divorce from her husband of thirteen years in August 2015, Stefani later revealed to Entertainment Weekly that she had scrapped the album and started again, since “[i]t didn’t feel right. […] I didn’t feel fulfilled. That record with Benny [Blanco] was done that way because I had just given birth and had just started on The Voice and felt like I should do something in music, but what was I going to do? There wasn’t enough time. So I tried to make a record where I was just kind of involved—which is how a lot of people do it, but it didn’t work for me.” What would become Stefani’s third studio album, This is What the Truth Feels Like, was released in March 2016 and neither “Baby Don’t Lie” or “Spark the Fire” appeared on it, with the singer favoring an honest, emotional approach on the record which is clearly reflected in the title. Turns out that R&B phenomenon Tinashe actually released three intended lead singles for her second studio album Joyride and scrapped them all. She first released the song “Player” featuring Chris Brown as the album’s lead single in October 2015, but scrapped it soon after. In July 2016, she released “Superlove” as the new intended lead single for the project, but it too was soon scrapped. “Flame” followed as the third intended lead single from Joyride in March 2017, which is probably one of her best songs but was a commercial flop. In a 2018 interview, Tinashe claimed that releasing “Flame” as the album’s new lead single was her label’s idea, stating, “I wasn’t forced, but it was one of these situations where it was like, ‘Okay, I will trust you guys and this is what you believe is the best decision so I’m going to get behind it,’ because that’s more advantageous than to sabotage my own songs… And when that wasn’t necessarily successful, I realized that it was my turn to get back into the driver’s seat as far as curating every move I made from there on out.” All three scrapped singles would end up appearing on the album…as Japanese bonus tracks. 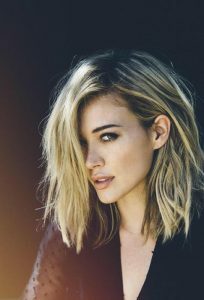 When Hilary Duff made her long-awaited return to music in 2014, she released two new singles from an upcoming new album: “Chasing the Sun” and “All About You,” with the former being a rather glib homage to enjoying youth out in the sun while the latter showed catchy comeback promise. Both saw folk-pop and acoustic pop influences, which Duff stated was the sound she wanted for her comeback album. That folk-pop album was originally said to be released by the end of that year, with a photoshoot for said album later leaking on Twitter, but by February 2015 Duff was working on a new dance-oriented direction for the album and confirmed she had been working with several producers and songwriters including Tove Lo on new tracks. Duff’s fifth studio album and first since 2007, Breathe In. Breathe Out., followed that June and while it has been considered to have underperformed commercially, it has since become a cult classic for many pop music fans. Some of the folk and acoustic pop tracks were included on the final track listing, with some new dance-pop tunes in between including “Sparks,” “One in a Million,” and “Stay in Love,” to name only a few. Duff described the album’s change in direction in an interview with MTV, saying that the album is “a range of stuff” and stated, “I would say definitely in the beginning when I started writing, it was pretty heavy, coming out of my past year of life. It’s changed since then, which is good because I think that the overall theme too – me, personally, I’m not this super heavy girl. You know? I’m one for the sunshine, so it’s shifted a lot and it feels a lot better to me. […] I definitely want people to feel like they’re getting a glimpse into my life and what I’m made of. I am a normal girl who has had a not-so-normal life. I feel like my fans have stuck with me because they can relate to me and I want them to. I want them to feel like we could go out and have a fun night together. I want them to know that my heart has been broken, but it’s not the end of the world. Life goes on. I want them to feel like I’m there for them. I want them to feel happy. And I want them to know that I care and that I have cared about them all this time.” While “All About You” and “Chasing the Sun” were scrapped as singles, they were included on the album as (you guessed it!) Japanese bonus tracks. 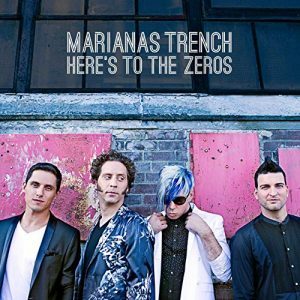 Marianas Trench initially recorded “Here’s to the Zeroes,” a misfit anthem, for their fourth studio album Astoria, but the song didn’t end up making the final cut. The song was, however, included on a new EP that preceded Astoria called Something Old / Something New, containing two old songs that were scrapped from previous albums and two newer songs that were scrapped from Astoria, with the other song in that category being a track called “Pop 101”—initially released as the intended lead single from Astoria in July 2014. Nick Jonas released “Find You” in September 2017 as the intended lead single from his upcoming third studio album…which still has yet to materialize. Amid a series of soundtrack songs and collaborations with other artists, Jonas claimed the song was from his third solo album which was already complete at the time of the single’s release, telling Official Charts that “Find You” is “the start to the campaign” and that he had a full body of work already finished. “I think it is some of my strongest work yet,” he said. 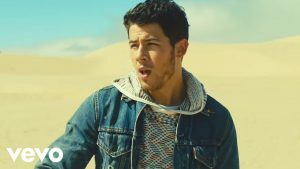 “It tells the story of this last year and a half of my life and I found real optimism in the creative process this time around which was different and exciting for me.” And yet, a third solo album from Nick Jonas does not appear to be on the horizon any time soon, given that it’s been nearly two years and this year he has reunited with the family band for a new album and tour, so I think it’s safe to assume that any further solo material from Jonas has been shelved for the foreseeable future. “Who’s That Boy,” a collaboration Demi Lovato did with female rapper Dev for her third studio album Unbroken in 2011, was initially supposed to be released as the second single from the album following “Skyscraper,” but the plan was scrapped after Dev announced a pregnancy that would complicate promotion for the single. 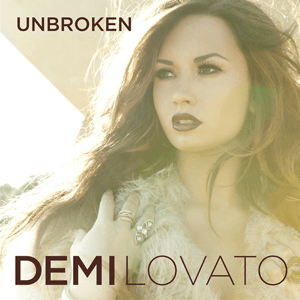 Thus, “Give Your Heart a Break” was released as the second and final single from Unbroken in January 2012, which Lovato said became the inspiration for new material on her fourth studio album Demi. So it’s a wonder if Demi would be in the same place musically if “Who’s That Boy” was the second single instead of “Give Your Heart a Break”… Sounds like it could be the premise for an alternate reality episode of a sitcom. In 2016, six years after leaving the label, Jennifer Lopez returned to Epic Records and Sony Music Entertainment for a new record deal. A few months later, she released “Ain’t Your Mama” as the expected lead single from an upcoming new album. The song was originally written by Meghan Trainor and Dr. Luke in 2014 for Trainor’s debut studio album, but didn’t make the cut. Lopez described the concept behind the song as “very empowering” and explained, “Guys have this tendency, once they love you in the beginning and you’re the hottest woman on Earth, and then all of a sudden, it’s like, ‘Okay… where’s my food?’ It’s like, ‘What?! Are you kidding me? Take me out! What are you doing right now?’” Despite signing a multi-album deal with the label and “Ain’t Your Mama” receiving generous promotion and radio play in North America, J.Lo’s ninth studio album has yet to appear and, three years later, it’s doubtful if “Ain’t Your Mama” would still appear on the project. An incredibly catchy dance-pop club anthem, The Veronicas released “In My Blood” in June 2016 as the lead single from their upcoming fourth studio album, which was said to follow in 2017. The group later confirmed they would not be releasing a new album that year and chose to hold all further releases until 2018, with yet another single called “The Only High” being released. As of 2019, The Veronicas have recently released another new single called “Think of Me” and their fourth studio album is generally expected to arrive this year, but whether or not 2016 singles “In My Blood” and “On Your Side” will appear on the final track listing has yet to be deciphered. In 2011, Glee star Naya Rivera signed with Columbia Records following the success of her appearances on assorted soundtracks and singles from the series. What would end up being her only major-label release as a solo artist, a collaboration with her rapper boyfriend at the time called “Sorry,” followed over two years later in September 2013. By Rivera’s account, production on her debut album “kind of halted” due to “so many things going on,” stating, “Politics got involved so I’ve been putting it on the back burner; there are a lot of things that I’m doing that I’m excited about.” In May 2014, in what can only be described as a travesty since Naya Rivera has an incredible voice and was the best character on Glee, Columbia Records dropped her, claiming that her single had underperformed commercially. “Sorry” remains her only release as a recording artist. In 2012, actress and The Vampire Diaries star Kat Graham signed with A&M/Octone Records and released her debut EP, Against the Wall, soon thereafter. The following year, “Power”—a contagiously high-energy bop about embracing the power within oneself—was released as the intended lead single from her forthcoming debut studio album. However, two more years would pass before Graham’s debut album would surface, and by that time she had left her record label in favor of an independent one. As a result, “Power” never saw the light of day again, but if you are in the market for a new workout song or just a good anthem to blast when you’re feeling good, buy and stream “Power” so it will get the justice it deserves! “Alien,” perhaps Britney Spears’ only attempt at an honest ballad about what it was like to be her growing up in the public eye, and simultaneously one of her most famously mocked songs, was originally intended to be released as the third single from her infamously underwhelming eighth studio album Britney Jean (Spears even said so herself in the documentary I Am Britney Jean). Although never explicitly stated or confirmed, the song was presumably scrapped as the third single due to the lukewarm chart performance of the second single “Perfume” or even the album as a whole (which would become her lowest-peaking record). “Alien” would also come under fire itself in 2014 when a version of Spears singing the song without pitch correction or auto-tune was leaked on YouTube. Critics and commentators immediately pounced on her apparent inability to hit the song’s high notes and many interpreted it as confirmation for a perceived lack of vocal ability over the years. William Orbit, the song’s producer, came to Spears’ defense saying that the leaked version was merely a vocal warm-up, something all artists do, and said, “Whomever put this on the internet must have done so in a spirit of unkindness, but it can in no way detract from the fact that Britney is and always will be beyond stellar! She is magnificent! And that’s that.” All things aside, “Alien” still remains one of Britney’s most honest songs and narratives, despite the heavily processed vocals and a vocal glitch that appears about two minutes into the song. It might not be anyone’s best work on the production side, but Spears offers a level of vulnerability on “Alien” that is scarcely offered in the rest of her body of work. Yes, apparently the rumors are true: “Party For One” has been scrapped as the lead single from Carly Rae’s upcoming fourth studio album Dedicated, set to be released on May 17, 2019. Jepsen initially released the self-care single as the first song from her next album last November, along with a music video. But by the time the next two singles arrived in February, “Now That I Found You” and “No Drug Like Me,” word on the street is that “Party For One” has been removed from the album’s final track listing. Definitely a shame, but I guess that just means the song will just have to be reclaimed as the masterpiece that it is and become a cult classic just like every other song on this list!